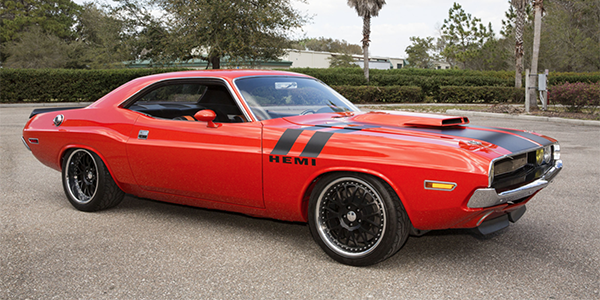 This custom built Pro-Touring Challenger was designed by Eric Brockmeyer with no expense spared. 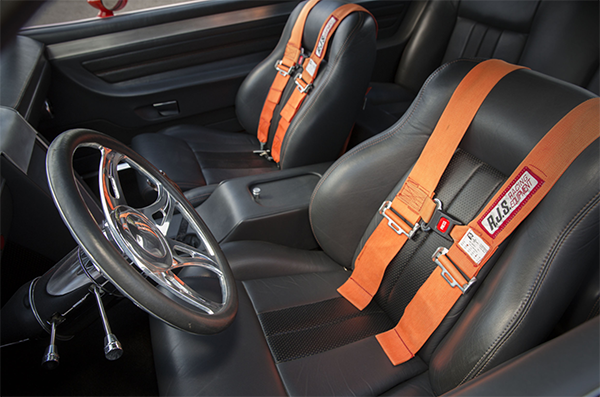 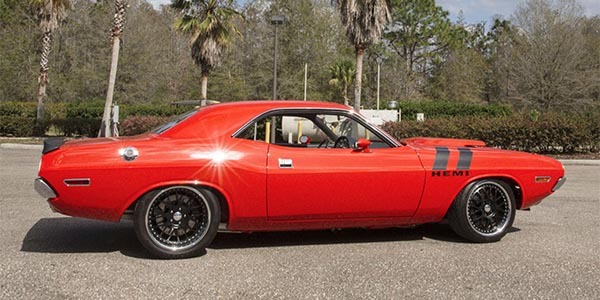 The car features XV Motorsports Level II suspension in the front and rear, Level II brakes and new Indy cylinder heads in the all-aluminum 528 cid Street Legend HEMI engine. 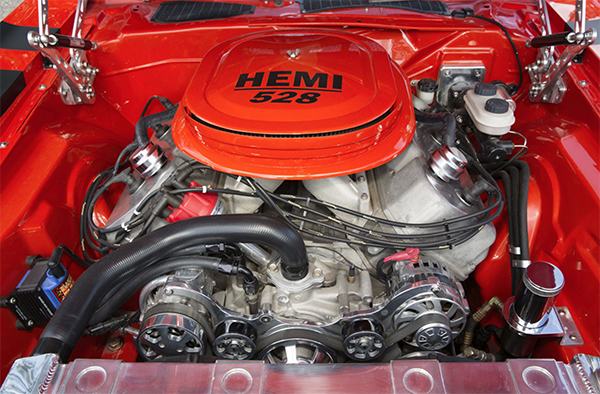 The HEMI is backed by a 5-speed manual transmission. 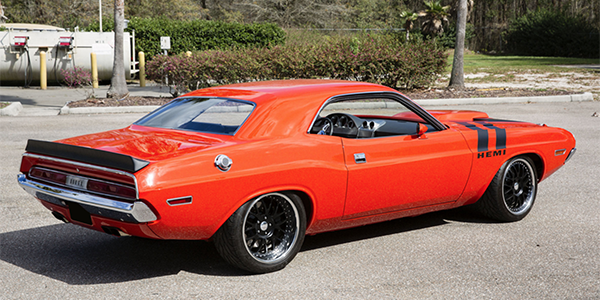 This Challenger has a functioning T/A hood, factory-style air cleaner and a host of unique features.